ETS has a full-time office based in Spain ran by our Protective Services Director, Mirko Ruggeri. 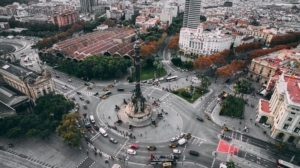 We have comprehensive capability and experience throughout Spain including high-level risk consultancy, secure transport and Executive Protection. ETS can provide high-level bilingual subject matter experts for investigations, training and risk management services, as well as bilingual armed and unarmed executive protection services. Spain is generally considered a low risk travel destination. The main threat of terrorism in the country comes from self-radicalized Islamist militants and individuals who have returned from fighting abroad for like-minded terrorist groups, including the Islamic State (IS); the threat of Basque separatist terrorism, in contrast, has decreased substantially as the movement has been handicapped by arrests and loss of popular support. Crime rates are generally low, but petty crime is very common in busy urban areas. Street robberies are also common.